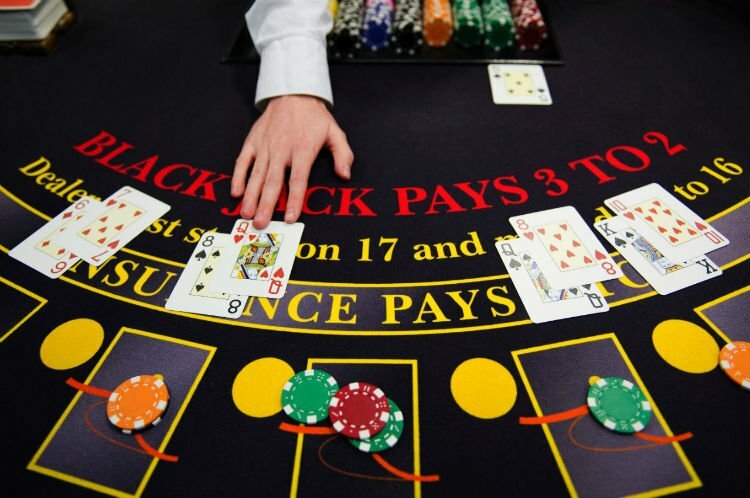 IN its pure form, blackjack is one of the simplest games found in the casino. The player tries to get his hand as close to 21 as possible without going over, while at the same time having a higher number than the dealer. That's it. Although there are small rule differences here and there, that basic game can be found in just about every casino, both land-based or online, in the world. The basic game of blackjack is only just the beginning, however, as the last few decades have seen an explosion in the amount of blackjack variations found at casinos. These blackjack variations were invented to inject new life into an old favorite, adding an extra layer of thrill and excitement to the game. Not only have they become popular at land-based casinos around the world, but the rise of internet casinos means that there are lots of different online blackjack variations people can enjoy from their own living rooms. Here is a look at the top 10 blackjack variations currently found in land-based and online casinos. 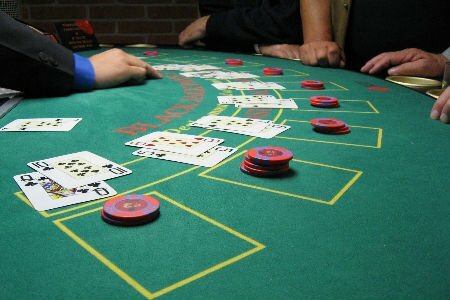 A basic understanding of blackjack is necessary in order to play blackjack variations, but on the whole, they are quite easy to learn and most people can start playing in a matter of minutes. Pontoon in the British equivalent of American blackjack. It shares many common aspects with its American cousin, but has a few twists that make the game slightly more interesting and strategic. The biggest difference in the casino version is that players are able to see one card first before making their bets, and can increase their bets during the hand itself. A hand of Pontoon with all players dealt one card; then they are able to choose how much to bet on the hand. Then the second card is dealt and the game generally proceeds very similarly to standard blackjack, except with different terms, such as 'twist' instead of 'hit'. If the player has a higher hand than the dealer, he wins, with one notable exception – if the player has five cards that equal 21 or less, he automatically wins double his bet! Patented by Geoff Hall in 2009, Blackjack Switch has quickly established itself as one of the most popular blackjack variations found in casinos, both in real life and on the internet. While generally played the same as blackjack, the twist is that each player plays two hands and has the chance to switch their cards after the initial deal. Each Blackjack Switch player makes two bets to start the game, and is dealt two separate hands at the beginning of the game. After this, the player has the opportunity to switch the cards from the two hands, possibly turning two 16s (A/5, 10/6) into much better hands, a blackjack (A/10) and an 11 (6/5). But there is a price to pay for this benefit. Firstly, blackjacks only pay even money. Secondly, the dealer only busts if she has a 23 or higher, if she gets a 22 than the hand ends as a push for all players, no matter what their total was. Double Exposure Blackjack is a favorite among blackjack players as it is one of the few blackjack variations that actually increase the odds for the player. Because of this, it is quite rare, as most casinos would rather not let players play blackjack variations where they are able to win more money. So if you ever do find one of these tables, sit down and play. Double Exposure Blackjack proceeds almost exactly like a regular multi-deck blackjack game, with one huge difference – both of the dealer's cards are exposed, so everyone knows exactly what the dealer has before they make a decision. Of course, this gives the players a huge advantage, so there are few other rule changes to balance the game back in the casino's favor. Insurance, surrender, and multiple splits are not allowed and the dealer hits on soft 17s. Even then, the house advantage is almost zero. Double Exposure Blackjack is mainly known for the increased chance for players to win. Buster Blackjack isn't actually a different blackjack variation as much as it is a standard game of blackjack with an optional side bet that pays the player any time the dealer busts. Since the dealer busts far less often than not, the bet is made more enticing by increasing the pay off for each additional card it takes the dealer to bust. In Buster Blackjack, the game is played exactly as it is on a normal blackjack table. The 'buster' part of it is an optional side bet where the player bets on whether the dealer will bust or not. This side bet is only about the dealer busting, whether the player wins or loses the hand is irrelevant. The more cards it takes the dealer to bust, the higher the bet pays out, ranging from 1:1 for a 3-card bust, all the way to 250:1 for an 8-card dealer bust. Even with that though, the Buster Blackjack side bet has quite high house odds. Like Buster Blackjack, Bonus Blackjack is played exactly the same as standard blackjack, but with an optional side bet that gives the player a chance to really cash in on a blackjack. As it is only ever played with two decks, bonus blackjack is one of the most popular blackjack variations amongst card counters and professional players. Bonus Blackjack is played the same way as any other double-deck blackjack game, except that there is an optional side bet which you can choose to play before any of the cards are dealt. This bet pays a bonus if you get a blackjack on your first two cards and typically pays out even if the dealer also has a blackjack. Depending on the casino, different blackjack hands pay different amounts – suited blackjacks pay 25:1, for example. If you don't get a blackjack, you lose the bet – simple as that. 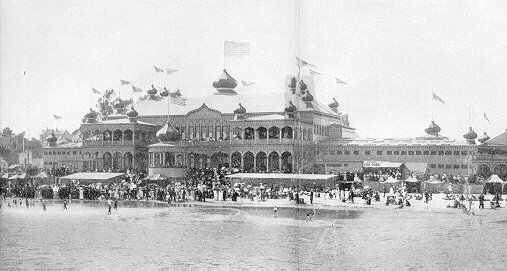 California Blackjack arose in the poker rooms of Southern California, where traditional blackjack was illegal because the player plays against the house. California Blackjack, which is still one of the most popular blackjack variations found in California card rooms, got around the law by rotating the role of banker, pitting a different player against his fellow players every hand. While California Blackjack has some similarities to the normal game, it is actually quite different. Each hand, one player is the banker and plays against all the other players at the table. The banker's bet is the 'bank' for the hand, with the other players attempting to win it while the banker tries to increase the bank. Some notable rule differences include the fact that jokers are also included and count for either 2 or 12, the goal number to reach is 22 instead of 21, and players don't automatically lose when they bust. This has led it to often be called 'No-Bust Blackjack'. Not very surprising: California Blackjack originated from california based casinos. Double Attack Blackjack, sometimes found as Double-Attack or Double Blackjack, is actually a variation of Spanish 21, which was one of the first blackjack variations. Beginning in Atlantic City, Double Attack Blackjack has recently arrived in Nevada. Much of its appeal lies in the fact that players have the chance to double their bets after seeing the dealer's first card, as well as surrender at any time. Typically played with eight Spanish decks (which do not include the 10-spot card), Double Attack Blackjack looks fairly similar to regular blackjack in that the point is to get to 21 and beat the dealer. The Double Attack in the name refers to the fact that the very first card dealt is the dealer's up card, so based on that card players can make the Double Attack bet and double their initial bet. Beyond that, the most significant rule change is that players can surrender or double down at any time, giving smart players the chance to win more consistently. You already know Pitch Blackjack, even if the name is new. Pitch Blackjack is simply blackjack played with one or two decks, and gets its name from the pitching action the dealer uses to deal the cards. Online poker variations of Pitch Blackjack are typically just called single-deck blackjack. Card counters love Pitch Blackjack because they can easily keep track of the cards, therefore many casinos don't offer it. Pitch Blackjack is played with either one or two decks, and the cards are dealt face down to each player, who holds them in his hand like an old-fashioned poker hand. This is really the main difference, as hitting, standing, doubling down, splitting, and insurance are all available just like traditional blackjack. If you want a card, you use the cards to scratch the table, but if you want to stand you put your hand under your chips and hope for the best. Multi-Hand Blackjack was one of the earliest online blackjack variations, as online casinos saw that people loved playing multiple video poker hands at once and extended that to blackjack. Of course, in land-based casinos you can play multiple hands at once, but only if there is room next to you at the table. But online, there is no such restriction and you can play as many hands as you want, whenever you want. If you already know how to play standard blackjack, then you already know how to play Multi-Hand Blackjack. It's the standard game of blackjack, but instead of just playing one hand at a time, you can play up to eight hands at once for a fast-paced, intense game of blackjack impossible in the real world. Multi-Hand Blackjack lets you play up to eight hands in a single gameplay. Although obviously popular in China, Chinese Blackjack can be found in many casinos all across South and East Asia. Although at first glance it looks a lot like regular blackjack – players start with two cards, they attempt to get 21 without going over, etc. Beyond that, however, there are actually a large number of differences that make this game Asia's own. Chinese Blackjack hands start exactly the way regular ones do, with each player and the dealer getting two cards each. That is about where the similarities end and the differences begin to stack up. Two aces is an automatic winner, dealers can choose whether to hit or stand, and aces count differently depending on how many cards you have. Although it seems complicated, just an hour or two at the table and you'll be playing Chinese Blackjack like a pro.